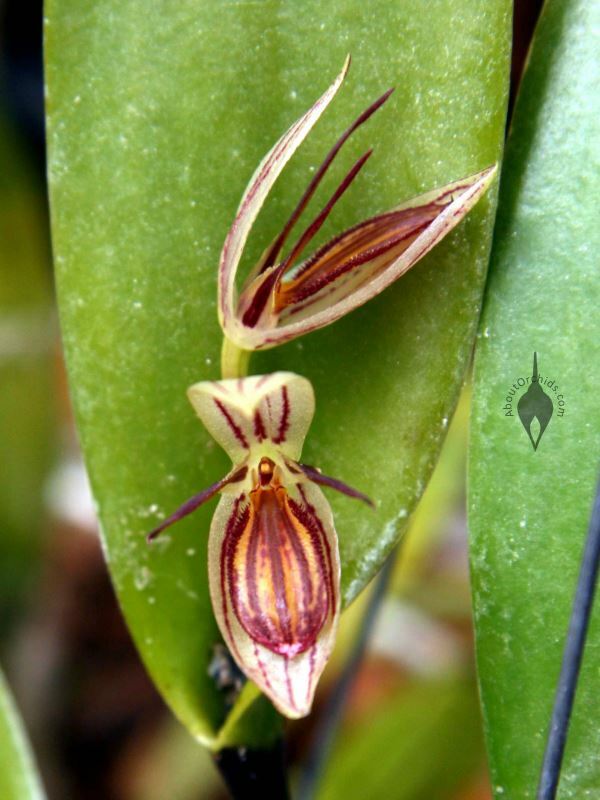 These magical gems are Pleurothallids, a large, diverse orchid family from Central and South America. 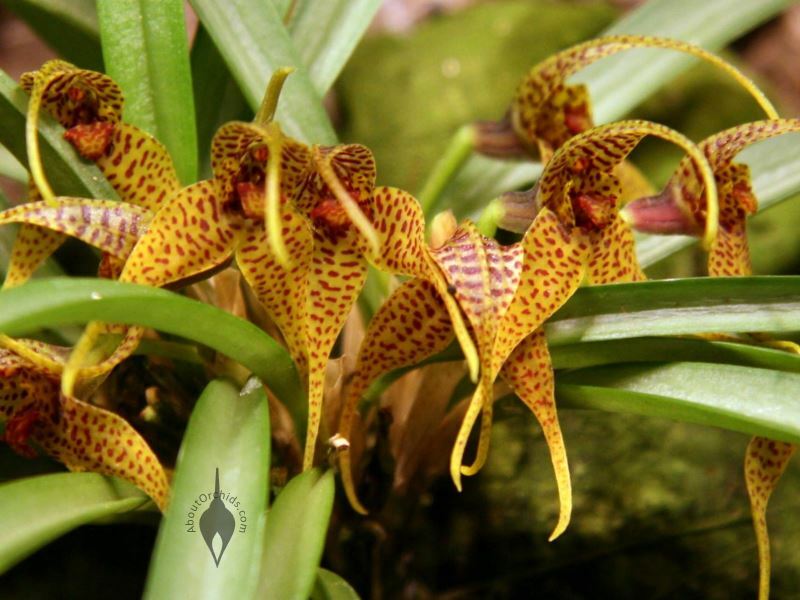 They’re popular with orchid growers who enjoy their brilliant colors, fantastic shapes, and compact sizes. Many have names which seem larger than the plants themselves. 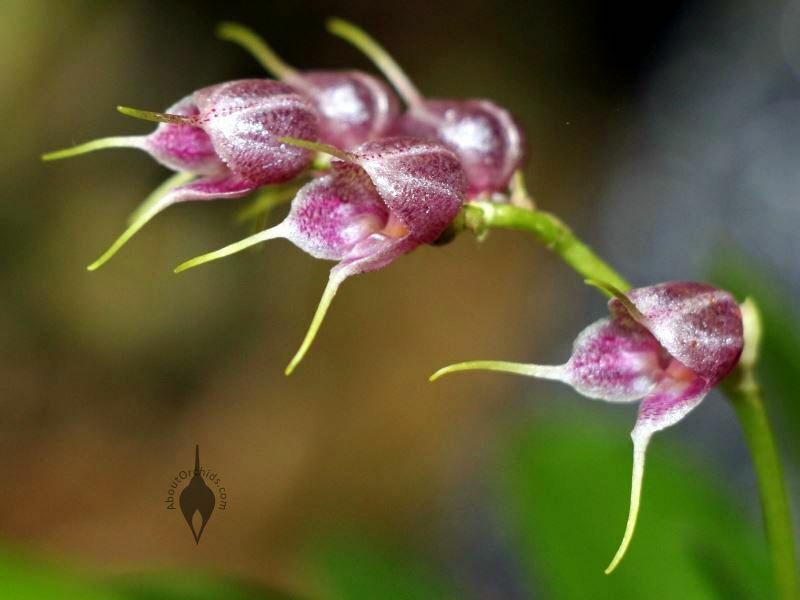 Masdevallias are the best known Pleurothallids. 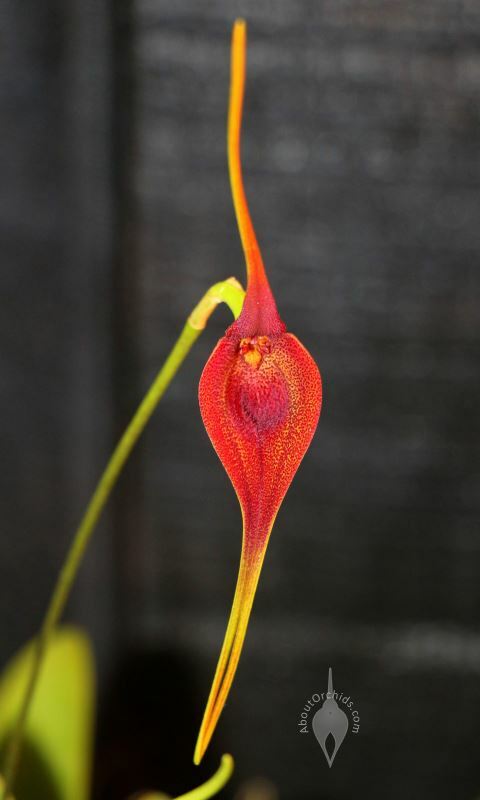 The first row of photos below shows just a few of thousands of available Masdevallia varieties. 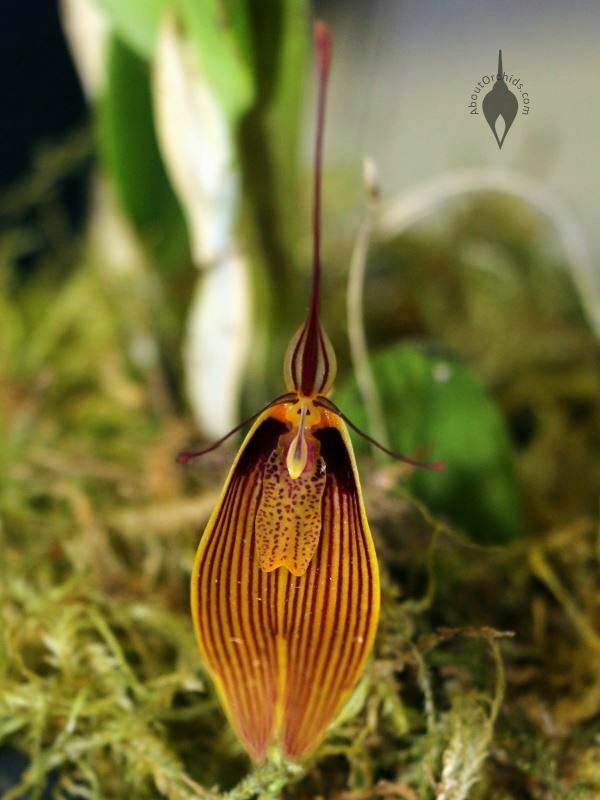 Masdevallias share close family ties with other genera like Dracula, Pleurothallis, Stelis, Restrepia, Scaphosepalum, and Dryadella. 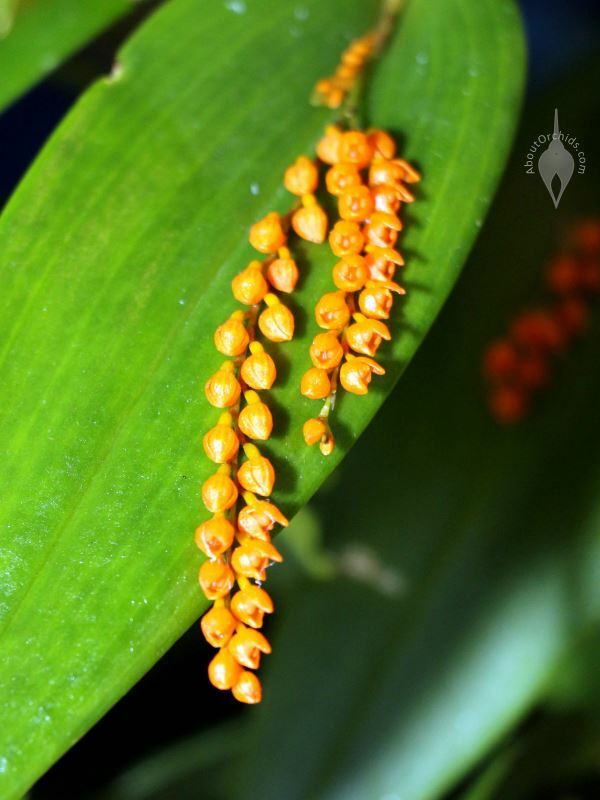 In the cloud forests and rainy mountainsides of Central and South America, over 4000 species fill out the Pleurothallid family tree. Despite the incredible variety of their flowers, most have similar care needs. Some types demand consistently cool temps, 40° – 70°F (4° – 21°C,) but many are tolerant of warmer weather, and want nightly drops to 55°F (13°C.) All Pleurothallids need consistent high humidity and constant air movement. They want bright light, but generally don’t need any full sun, and can grow under artificial lights. Many types cannot tolerate chemicals in tap water, and need purified water or rainwater. 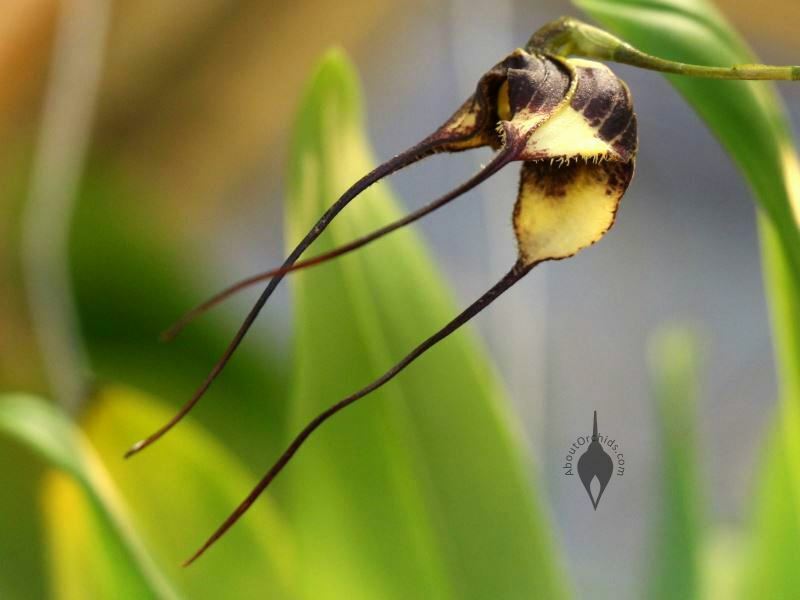 Pleurothallids are great outdoor orchids for growers in San Francisco and other cool, moist climates. Foggy breezes provide the perfect humidity and air movement to replicate their airy mountain homes. San Francisco’s clean tap water works for many types, although some kinds, such as Draculas and Stelis, demand purified water. 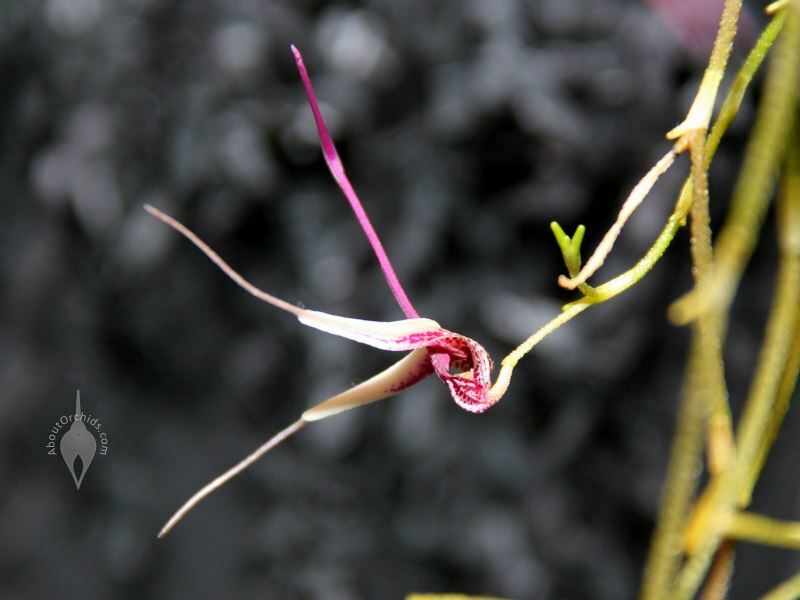 To learn more, visit the Pleurothallid Alliance, which encourages the cultivation, conservation, and appreciation of Pleurothallids. 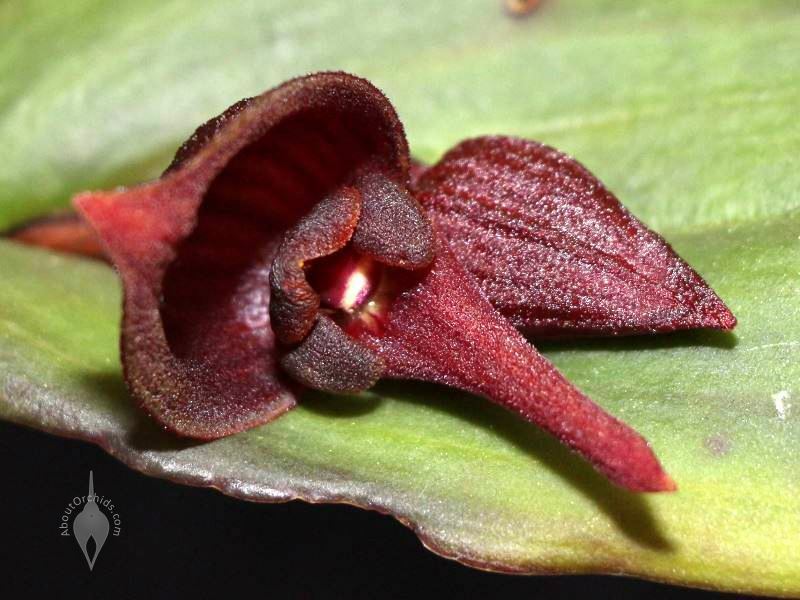 This entry was posted on Tuesday, September 17th, 2013 at 5:30 am	and is filed under Conservation, Cool Growers, Growing, Growing Orchids in San Francisco, Intermediate Growers, Mini Orchids, Photos. FYI all these photos are from orchid shows with the exception of the middle shot in the last row. 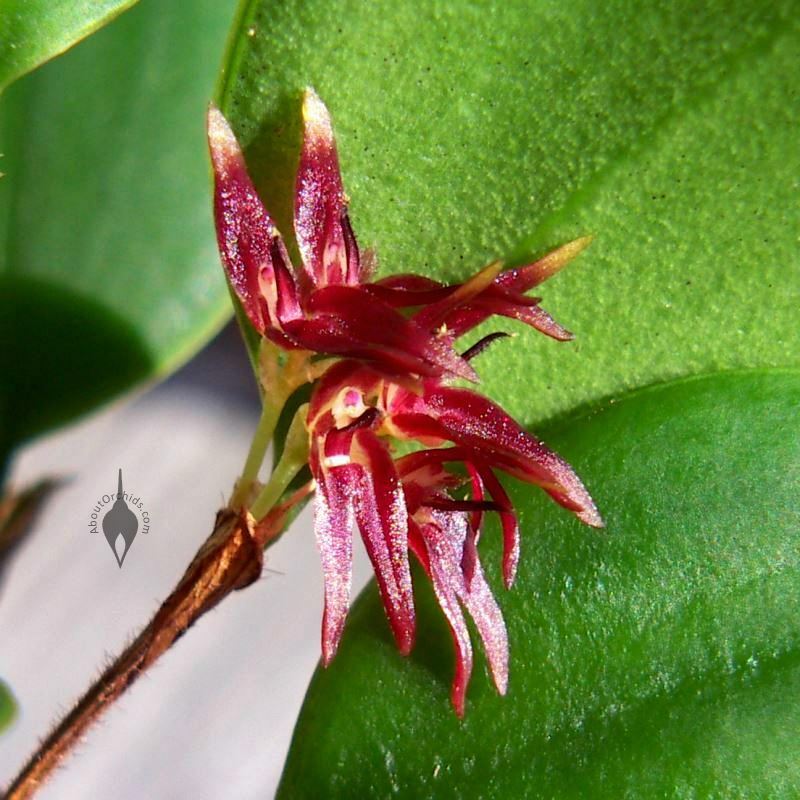 I’ve grown that little Trichosalpinx at our home for many years. I had no idea that orchids were available in so many different sizes and colours. 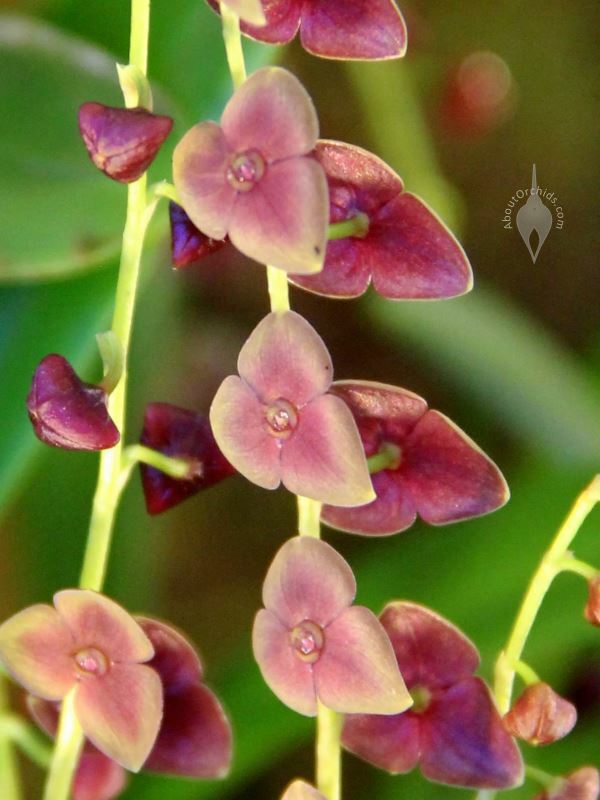 Thank you for your beautiful orchids! Just want to say your picture are astonishing. Thanks a million and please continue the enjoyable work. Fantastic pictures.I think this is a real great blog.Really thank you! Wow! 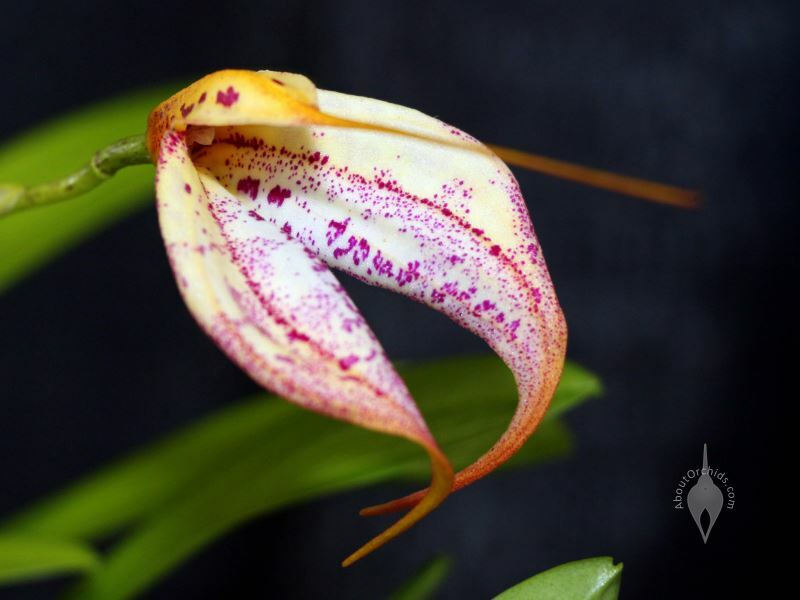 Beauties, esp #1 masdevallia, #4 dracula and #7 pleuro.